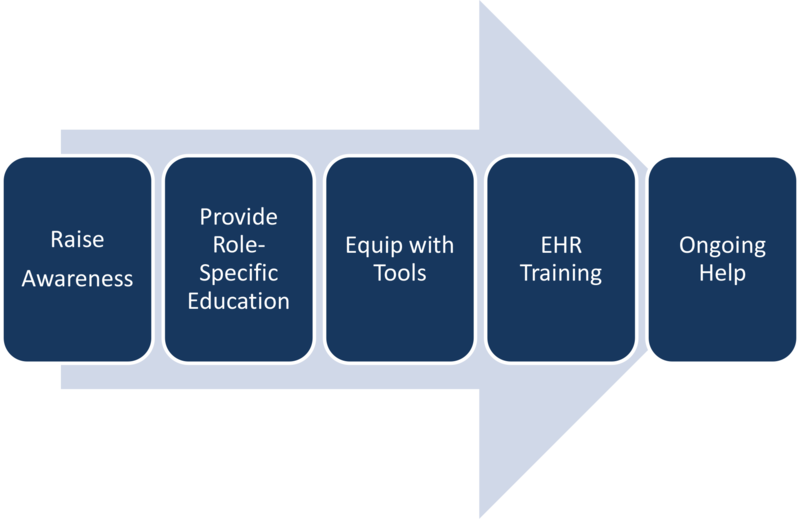 As health care organizations of all sizes struggle to meet the challenge of electronic health record adoption and meaningful use, one recurring theme is common: How to effectively educate learners on both the new and / or adapted processes resulting from the implementation of the new system and the necessary skills to use the new technologies in order to efficiently execute those processes. Physicians in particular may feel challenged to learn how to use a particular EHR or EMR with the skill and finesse needed to balance patient care activities with the capture of information in the electronic record. With the recent Federal legislation, it is clear that the focus will be on EHRs and their ability to share information securely across health organizations. In order to meet meaningful use standards and, more importantly, in order to provide more efficient and safer patient care, EHR users must be equipped with the knowledge that they need to successfully use any system they be required to use for patient care. A key component to an EHR’s success is a clearly defined, measurable, and effective strategic knowledge improvement plan. This is not just an important component of the initial implementation, but critical to the long-term success and vibrant use of EMR technology. Articulate the benefits and features. Purposefully review and communicate the process, including timelines. Set realistic expectations (we’re not flying to the Moon on day one). Assess current, basic PC and Windows skill levels (not everyone knows what a radio button or a “right” click are). Don’t take the learner’s report of skill level without an assessment verification tool. Ensure that all learners’ basic skill sets (i.e., Windows and PC) meet a minimum proficiency level prior to go-live training. Key concept: Implement role-based training – you’re not training your users to be EMR experts; you’re training your learners to provide safer, more efficient patient care using a new system. Think long term: What is a sustainable model that will yield the most for a diverse set of learners? Evaluate your options carefully, understanding the cost, implications, and necessary support. Be prepared to stay in the game: Learning doesn’t stop at go-live. Now what? How are you going to determine the level of support and communication needed for new processes, system “fixes,” upgrade training, etc.? Who will train your end users? What adult learning facilitation skills do they have? Who will design your knowledge improvement tools (classroom curriculum, eLearning, Knowledge Banks, mLearning, etc.)? Think long-term: Do you need a full EHR training team, comprised of full-time employees? Is relying solely upon consulting talent wise? A blended approach? Evaluate training strategy, curriculum, etc., against real-life results. Address the “pain points” quickly. Always seek to learn from every encounter and adopt an attitude of continuous improvement. We’ll explore each component of a strategic knowledge improvement plan in detail in subsequent articles. Dr. Greg Forzley (forzleyg@trinity-health.org) is the Director of Informatics for St. Mary’s Health Care in Grand Rapids, Michigan, and serves as Chairman of the Michigan State Medical Society. Dr. Forzley has been instrumental in improving physician adoption of EMR systems and is a champion of improving patient care through meaningful use concepts. 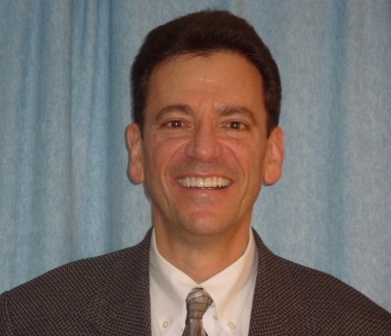 Mr. Tony Onorad (TonyOnorad@OnoradSolutions.com) is the founder of OnoradSolutions, an EHR knowledge improvement consulting firm and has been an innovator in the adult learning field for over fifteen years. There has been much talk about providing ICD-10 “training” to your practices and teams. What does that actually mean, though? What do they really need to know to move to this “10” coding structure? What about the practice managers; what do they need to know and do? And when? Having designed several healthcare IT training programs, I would argue that the transition to ICD-10 isn’t really a traditional “training” initiative. Your teams aren’t new to coding; they already know how to do their jobs. The transition to ICD-10 is about the “delta” – tell me what’s changed and what I need to do now! 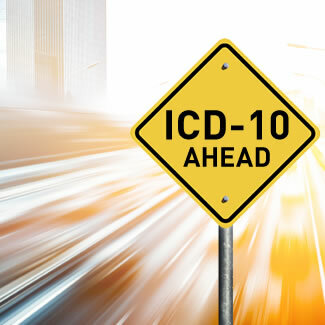 Awareness: There continues to be much confusion around ICD-10. Start by addressing some common questions and misconceptions: What does it mean for me? Will the October 1 deadline really hold? What are the top five things that we, as a practice, can start now? What do we do after October 1? What are our key milestones? What’s next? Then take some “baby steps” to start your transition: Convert your top twenty codes, meet with your payors and vendors; begin to plan your ICD-10 transition project; budget (time, money, and resources) accordingly through January 31, 2015. Role-Specific Education: Now that we are all aware of what this ICD-10 transition really looks like, it’s time to take a deeper dive by role: Providers, practice / project managers, billing, coding, and claims professionals. Start your providers off by performing chart reviews and converting their most commonly used codes. Practice managers and ICD-10 project managers should be knee-deep in project planning, including budgeting, timelines, vendor management, and testing. Billing and coding folks should begin a review of the new features with ICD-10, guideline comparisons, and the major differences between ICD-9 and 10. Tools: You’ve made your teams aware of the ICD-10 transition and clarified any misconceptions. Oh, and you’ve reminded them that the October 1, 2014, date is set in solid cement. You’ve told them what they have to do to prepare (e.g., planning, converting codes, etc.). But, how? Using what? Providing the right, trusted tools – such as ICD-10-specific project planning software for your practice and project managers; robust code translators for your providers, etc. – is the “rubber- meeting-the-road” piece of the successful equation. Overlooking this is equivalent to having blue prints to build a new home, without any of the tools to do so. And don’t take the easy way out; there are no simple, free, direct, and thorough code translators. But there are robust tools that can help. EHR Training: Finally! Training! After your electronic health record (EHR) has gone through testing and, most likely, an upgrade – and tested again – it’s time to provide some level of “delta” training: What’s changed as a result of the upgrade / transition to ICD-10? Have my workflows changed as well? Are there new, changed reports? I doubt this EHR training would be a significant initiative and most likely can be achieved through interactive eLearning – as long as the eLearning modules match your specific build and workflows. Where do I go for help?! This is the most important piece of the equation. After the awareness, education, and training are done and we’re live in October 2014, now what? What if I’ve forgotten or get stuck? Have a cost-effective, user-driven, easily updatable resource (no, not calling the help desk) to answer the multitude of questions that will come up and to address changes. See where you can repackage your education and training tools into bite-sized snippets for topic-specific help. Don’t recreate; reuse and repackage for just-in-time performance support. Mr. Onorad is CEO of OnoradSolutions and has been in the healthcare IT industry for over a decade. His background includes designing knowledge improvement strategies for a diverse variety of organizations. Experience has shown that forming a solid team of “super users” – those team members who will be your front-line support teams – is critically important for a successful transition to a new or replacement electronic health record (EHR). All too often, little care or direction are given to selecting and developing these critical contributors to both your initial implementation and to ongoing adoption and optimization. Recent experience with a large health system in San Francisco demonstrates this. The lead of their EHR training team requested senior leadership commitment to a robust super user program. The result – these key members of the team were instrumental to a very smooth, successful go-live. 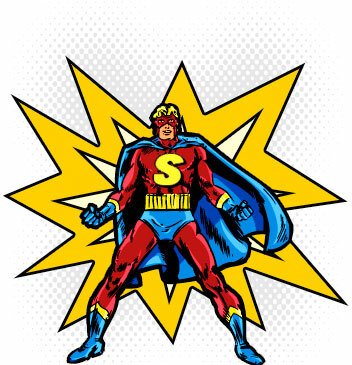 What are the ingredients to making super users truly super? Clear job descriptions – Would you hire someone without first identifying the key responsibilities? Of course not. Before you identify who your super users will be (either internal or external), create a clear job description that includes estimated hours required for: their own training, super users support of training, go-live support hours, and ongoing support of your EHR. Skills and Abilities – After drafting an accurate job description, be sure to use that to select the right super users, based on their skills – not on who might be your favorite on the team. Conversely, don’t select a poor performer, just to get them out of the way. It is also important to make certain that they can comfortably approach all types of users, especially health professionals, and that they are skilled listeners that don’t react to user frustrations or concerns. “Art” Classes – No, we’re not going to teach our super users how to paint; the first class a new super user should participate in should be The Art of Being a Super User. This class addresses the “soft skills” needed to be successful in this support and training role: What is a super user? How do adults learn? What if I’m providing support and I don’t know the answer? How do I handle a frustrated provider? It’s critical that new super users understand adult learning methodologies before you start to train them on your EHR. Supporting at least two full rounds of classroom training for their co-workers. Pre-go-live 1:1 support and training to further prepare their teams for implementation. Ongoing training, system testing, new-hire support, etc. And, don’t forget to keep the super user team intact – they will be also be important to assist the staff with refining best practices, learning new features and functions, and invaluable when you are implementing a future upgrade. Recognizing this key role and empowering your super users to be effective will pay off significantly not just for go-live, but far beyond your initial implementation. 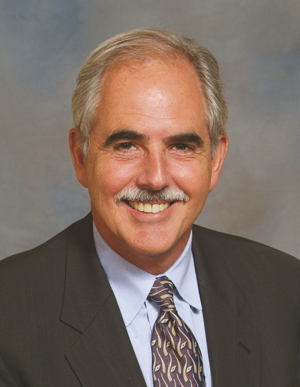 Dr. Greg Forzley (forzleyg@trinity-health.org) is the Chief Medical Information Officer – Health Networks, Trinity Health, and serves as Chairman of the Michigan State Medical Society. Dr. Forzley has been instrumental in improving physician adoption of EMR systems and is a champion of improving patient care through meaningful use concepts. Mr. Tony Onorad (TonyOnorad@OnoradSolutions.com) is the founder of OnoradSolutions, a knowledge improvement consulting firm, and has been an innovator in the adult learning field for over fifteen years. He has led several complex training projects for a variety of clients. How to communicate well with a patient while working on an EHR – amednews.com. Sloppy EHR Implementation Could Threaten Patient Safety – Healthcare – Electronic Medical Records – Informationweek.